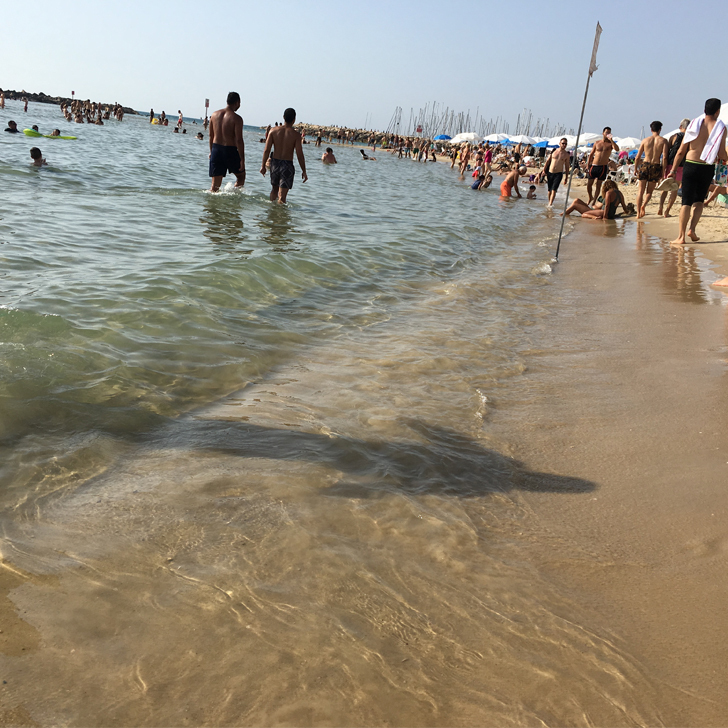 Tel Aviv has wonderful sandy beaches (unlike so many of our UK beaches, hardly any pebbles in sight). And it being the Mediterranean Sea, the water is warm and wonderful. If lying in the sand for hours isn’t quite your thing, there is plenty to keep you occupied. 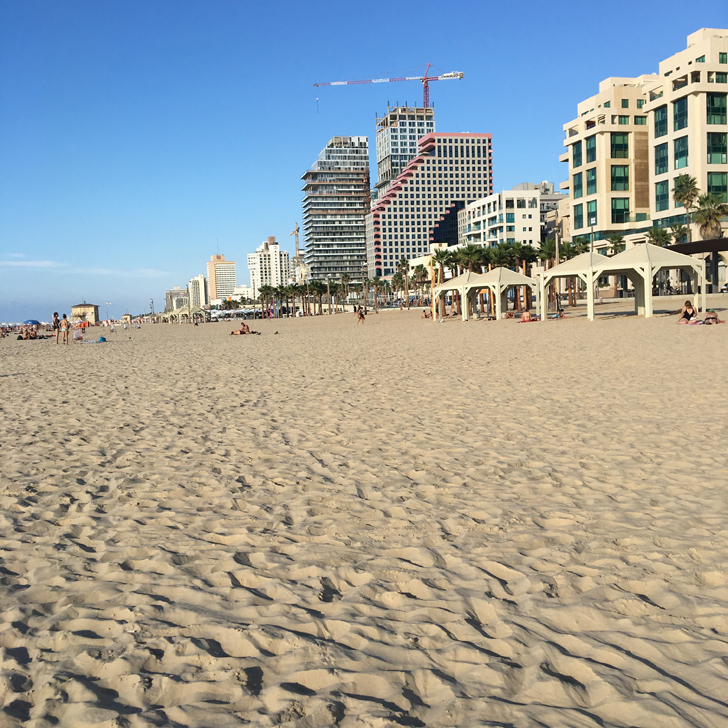 Sport seems to be the number one thing to do at Tel Aviv beach. Whether it is wave boarding, running along the promenade, using the free outdoor gyms or simply playing beach ball and volley ball, there sure is something for everyone. 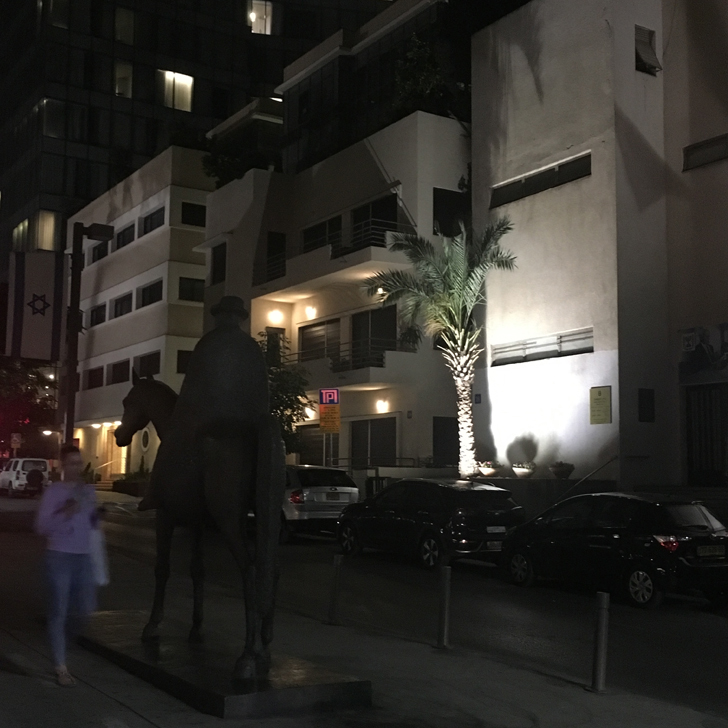 Did you know that Tel Aviv is home to the biggest selection of Bauhaus buildings? 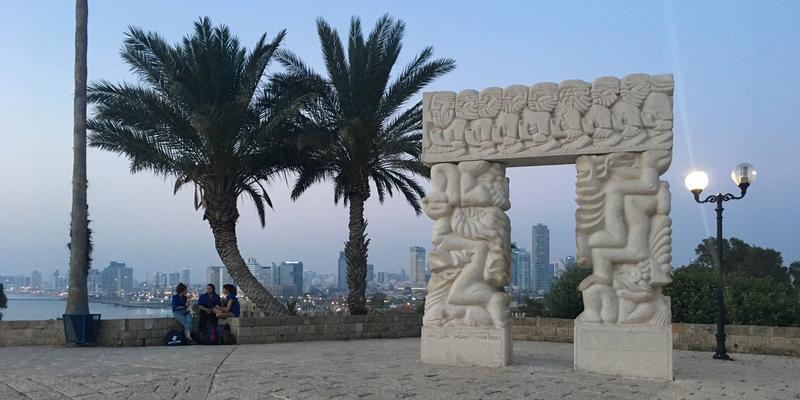 Head towards Rothschild Boulevard and glance at the ‘White City’, over 4000 Bauhaus buildings and Unesco world heritage site since 2003. Rothschild Boulevard is also perfect for an evening stroll along the tree-lined avenue (but watch out for those cyclists, they are vicious). Follow the ‘Independence Trail’, a set of markers pointing out landmarks like the Independence Hall along its way. Once you are done with walking, go for dinner and drinks in one of the many restaurants along the boulevard. 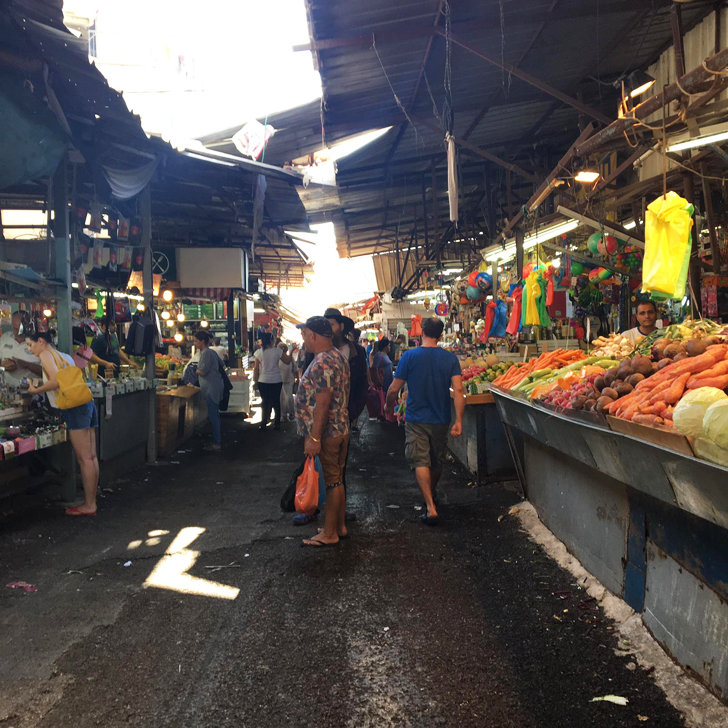 As the market closes fairly early, I didn’t get a chance to actually stroll through it until our very last visit. But I am glad I managed. 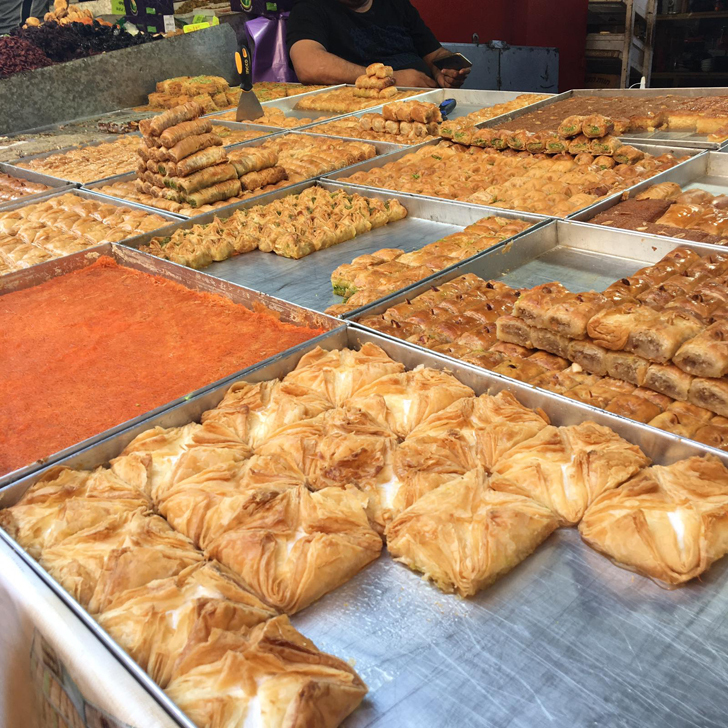 The street market is open six days a week (closed Saturdays). Take your time to enjoy the wonderful smells and colours. 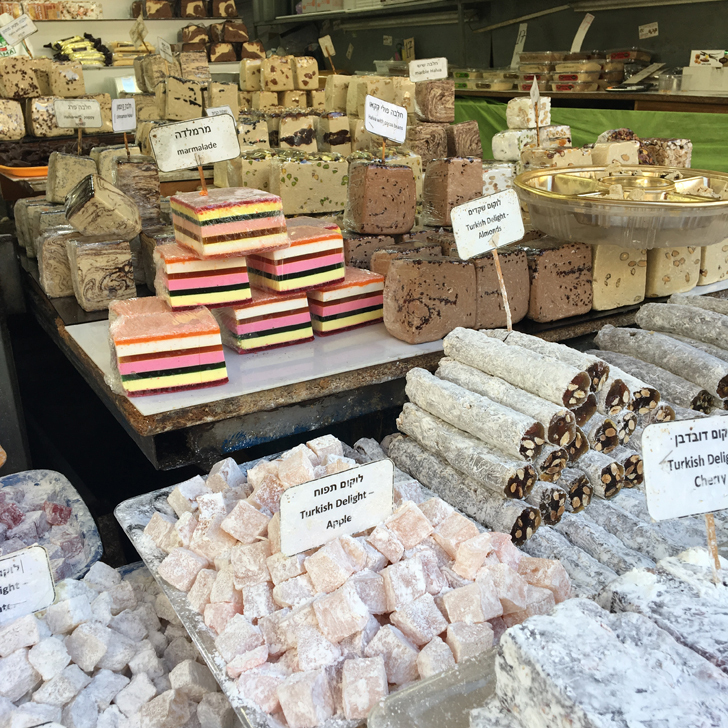 Shuk HaCarmel offers plenty of local foods, from fresh fruit to sweets and spices. It is also the ideal place for some ‘souvenir’ shopping. 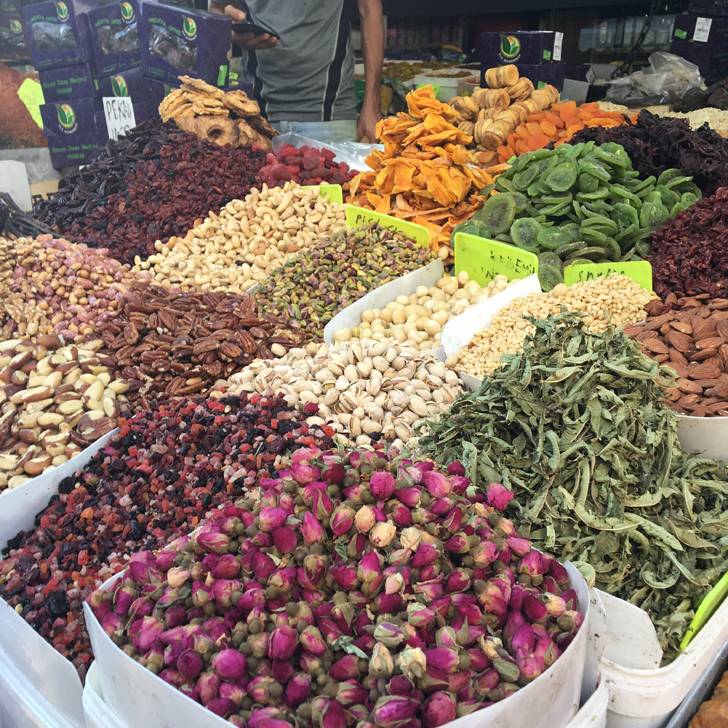 I just couldn’t resist buying loads of sweets, biscuits and a few spices to take home. But be prepared (I wasn’t). 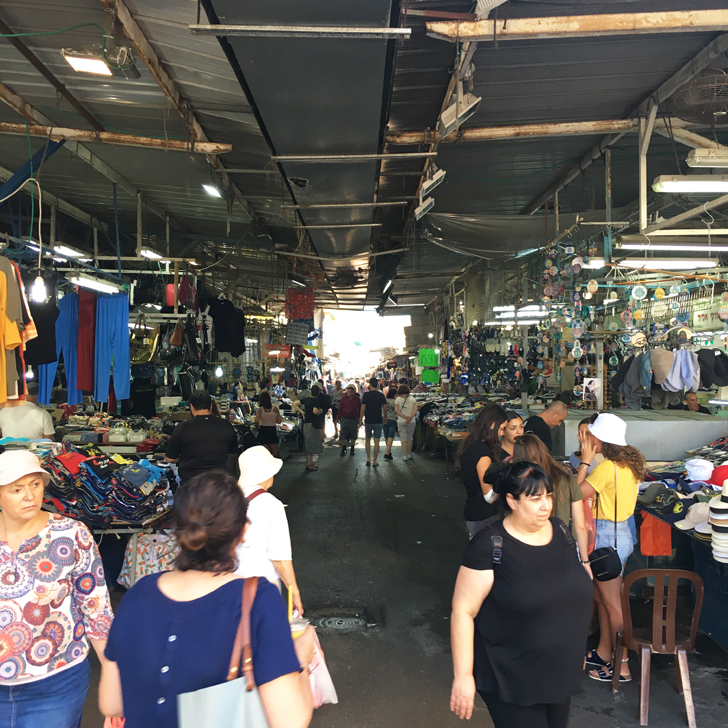 A lot of the street vendors accept cash only (Israeli Shekel, but also Euros and Dollars, however the exchange rate to the Dollar seemed anything but competitive). So better make sure you have some money on you, otherwise your shopping spree may be short lived. 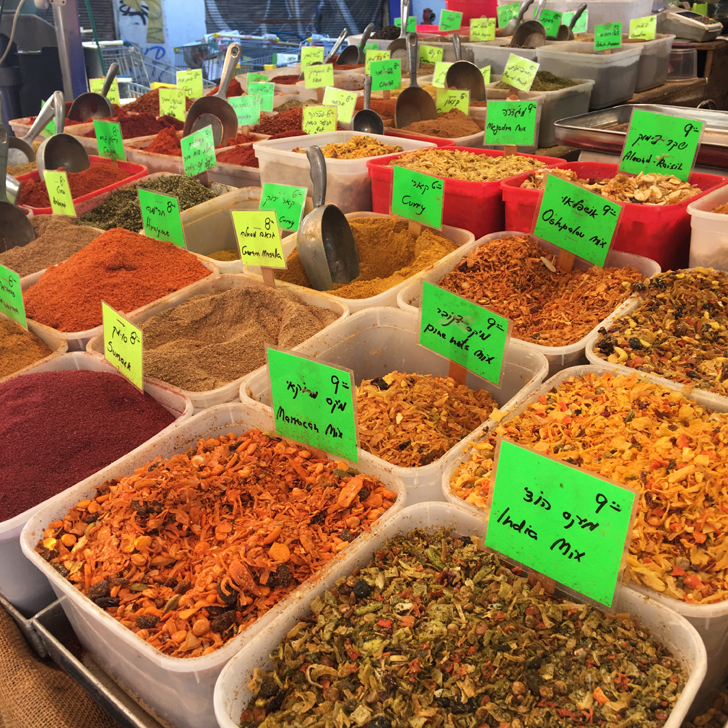 But when you compare prices at the market to the prices you pay along the beach promenade, you would be silly to ever buy anything at the promenade. 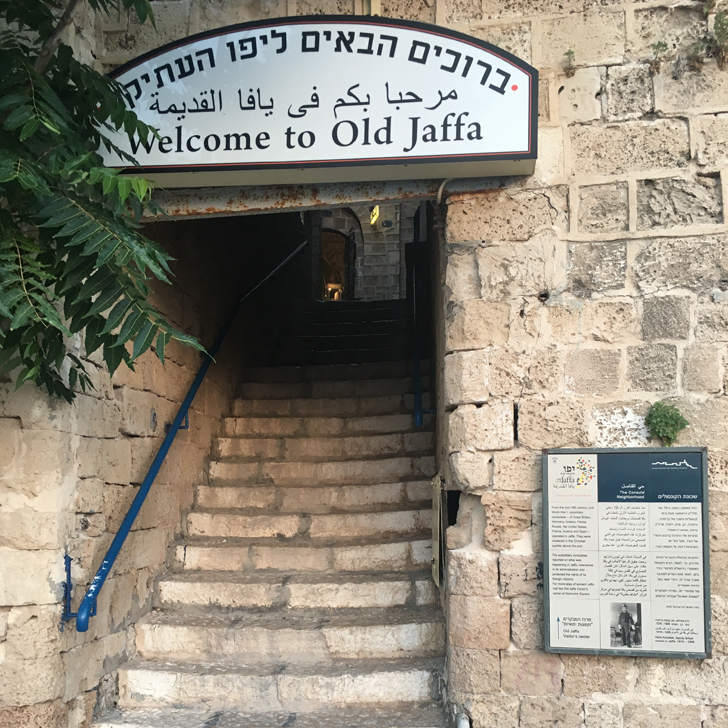 If you are staying at Tel Aviv Beach, you can’t fail to notice the old city of Jaffa (or Yafo / Yaffa) further down the bay. 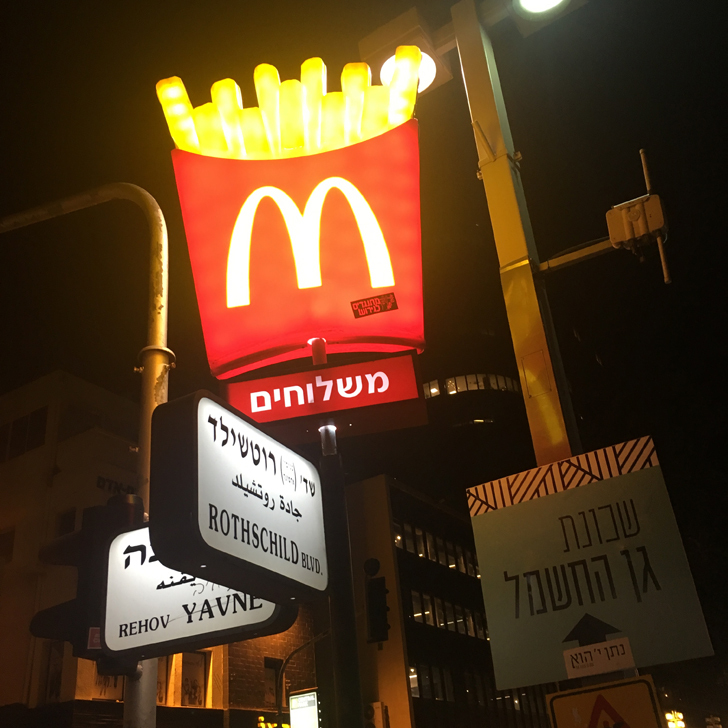 During our first trip me wanting to walk to Jaffa became the running gag of the week. It wasn’t until our second trip that we actually decided to give it a go. And you know what? It is totally doable. It is actually a really pleasant stroll along the beach promenade. So don’t be fooled. 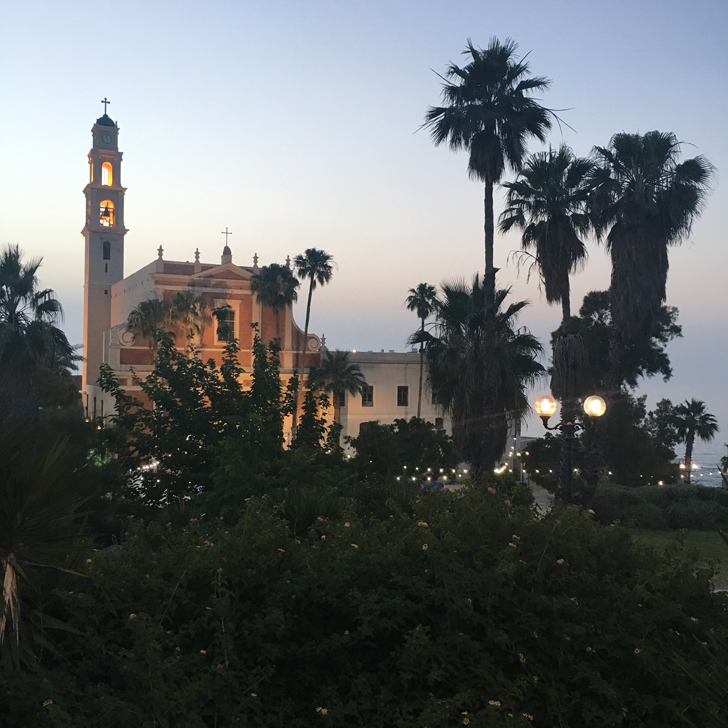 It might seem as if Jaffa isn’t getting any closer, but it will only take you around 45 minutes and you will be rewarded with beautiful Jaffa and a great view back over Tel Aviv beach. Rummage through the flee market (unfortunately this is only during the day, so we only managed to catch the last few stalls as they were closing for the day. The downside of having work ‘interfere’ with your sightseeing plans I guess). 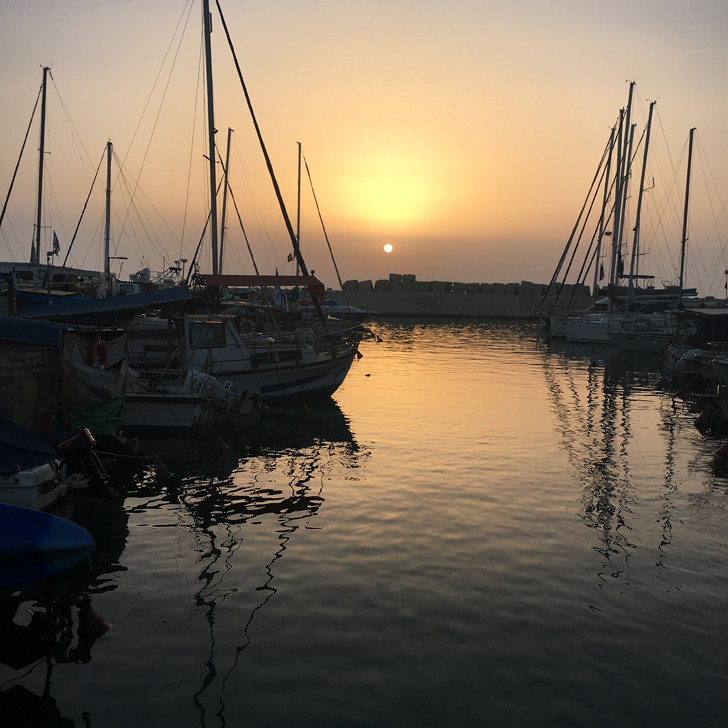 Check out Jaffa harbour, particularly picturesque as the sun sets over the bay. 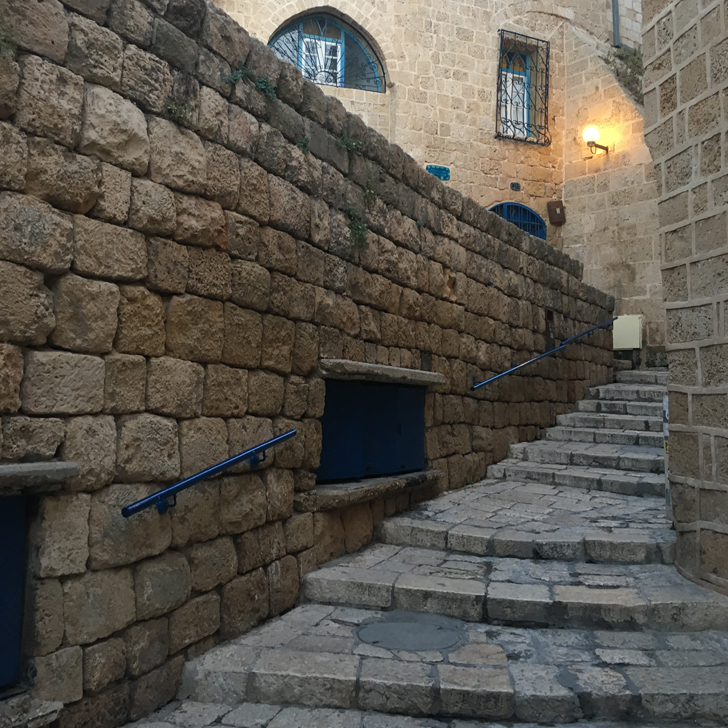 Then walk up the narrow winding streets to Old Jaffa and St Peter’s Church (and pop into the little galleries along the way). Don’t forget to visit the Wishing Bridge, rub your zodiac sign on the bridge and make a wish. You never know, it might come true (surely worth a try). 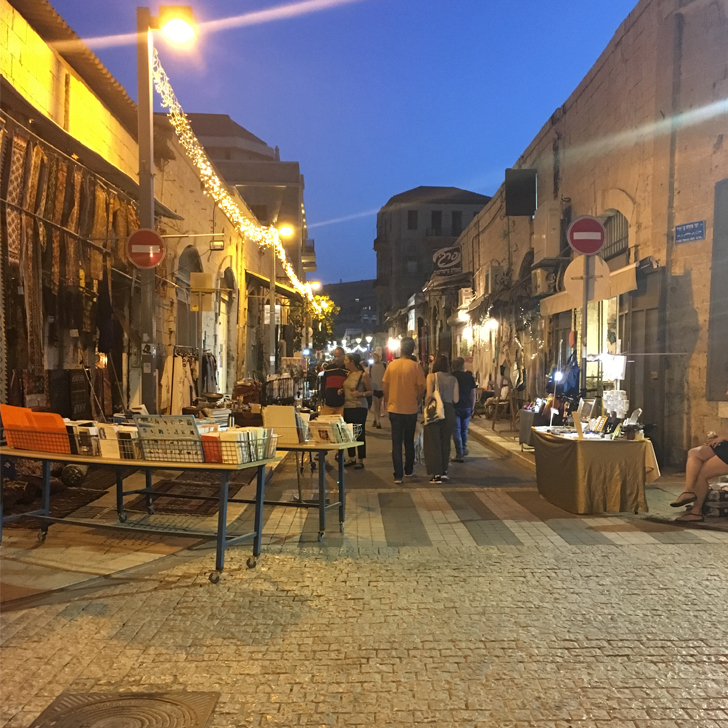 Once dusk settles, the flea market in Jaffa closes and the narrow streets become al fresco restaurants with loads of small tables, fairy lights everywhere and cats strolling the streets. 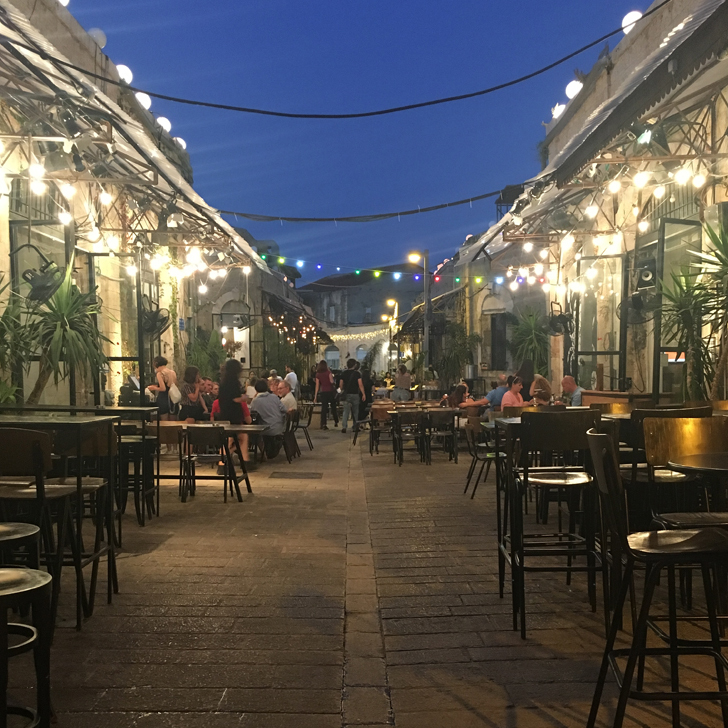 Go and check it out, you’ll love it (we sure did and came back several times, not just for the atmosphere, but also for some of the best food we ever had). Another stroll along the beach promenade, this time heading the other way. 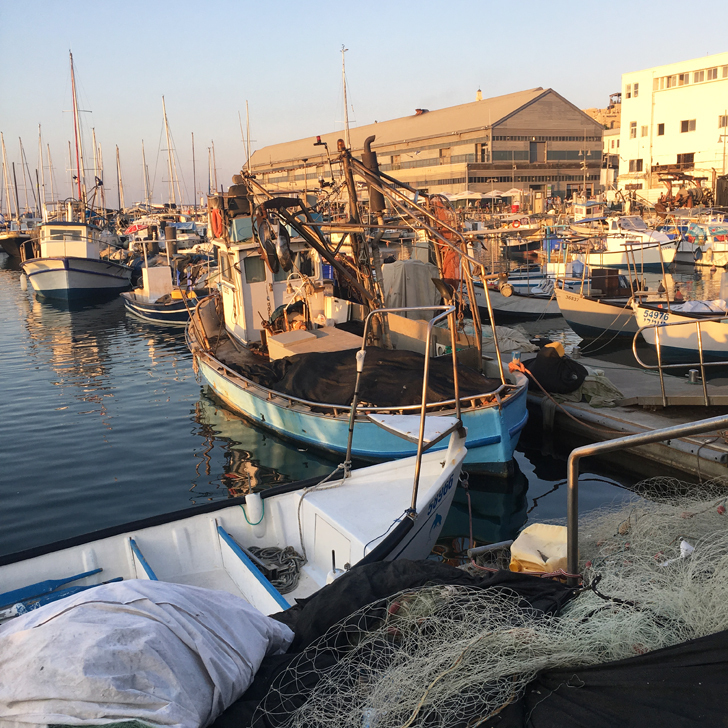 Once you get past Tel Aviv Marina, you will eventually come to the old Tel Aviv Port. 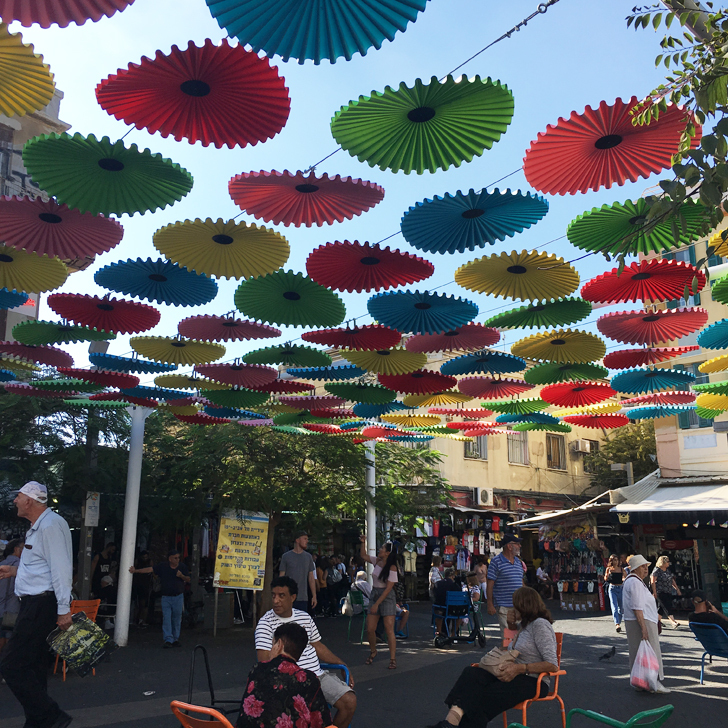 The port is no longer in use, but has been transformed into a vibrant shopping and dining area. Perfect for the evening. 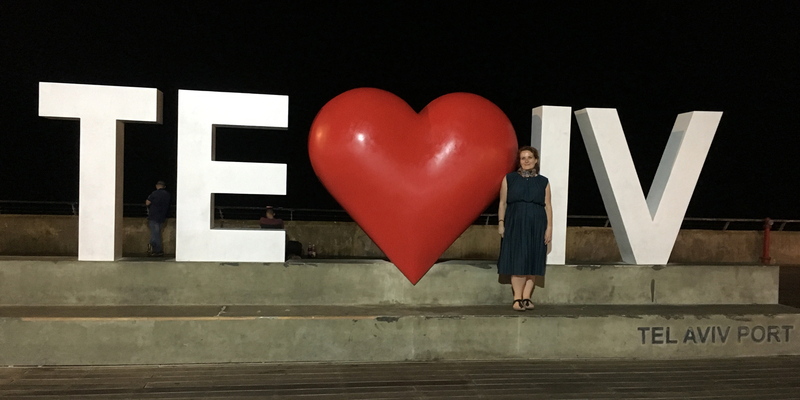 Walk beyond the port and you will get to the Tel Aviv sign. So snap a photo for your photo album (or Instagram feed). 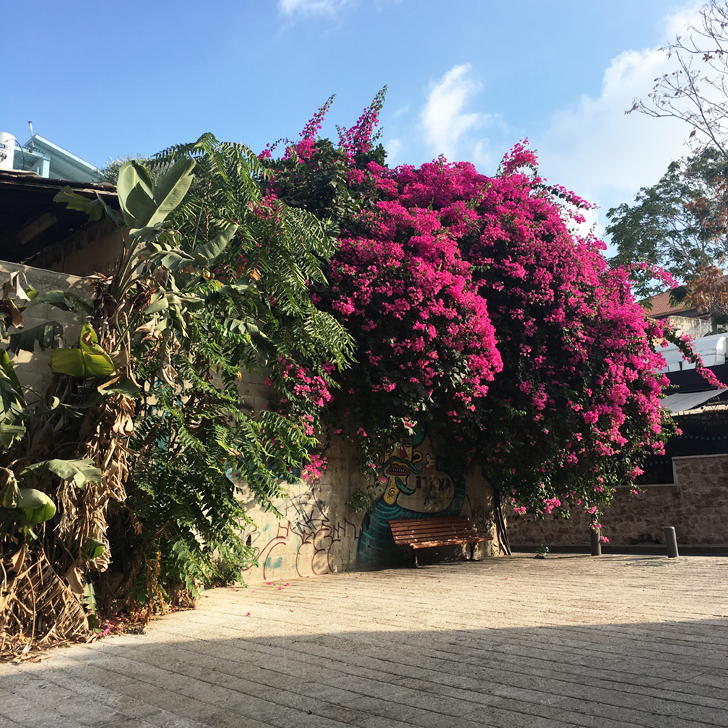 Obviously there is a load more than 5 things to do and see in Tel Aviv. And our itinerary would have been quite different was it an actual leisure trip. 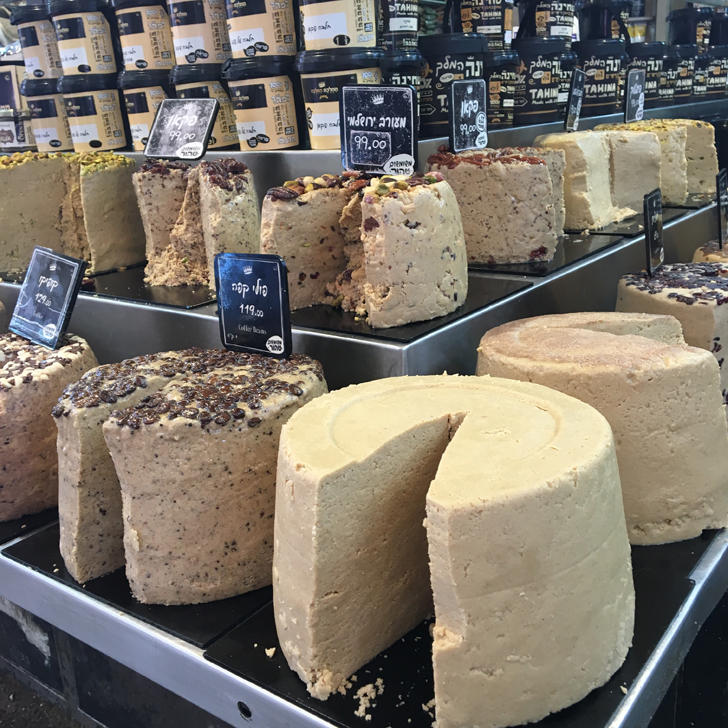 So tell me, have you been to Tel Aviv? What else needs to go on that list?